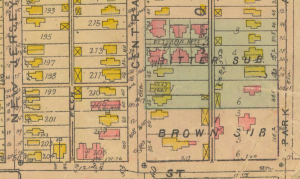 In 1914, the vicinity of Sixteenth Street and Central Avenue was dominated by boarding houses and low-rise apartment buildings. 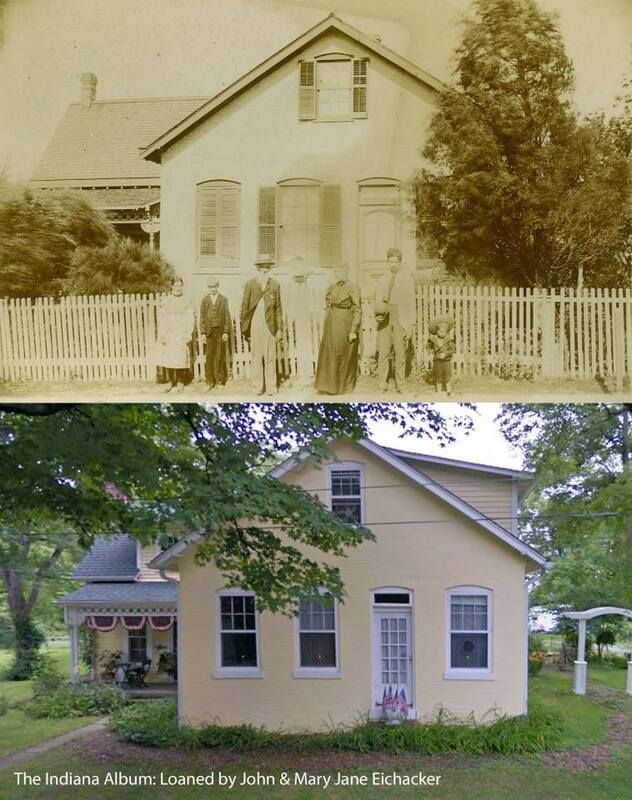 The house that stood on the northeast corner belonged to J. Guy Haugh, an executive in the men’s clothing industry in Indianapolis. 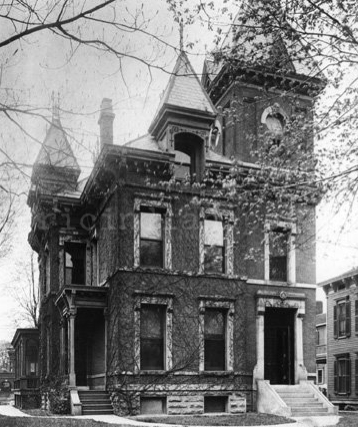 House at 1603 Central in 1898. Indianapolis Sanborn Fire Map, IUPUI Library Digital Collection. 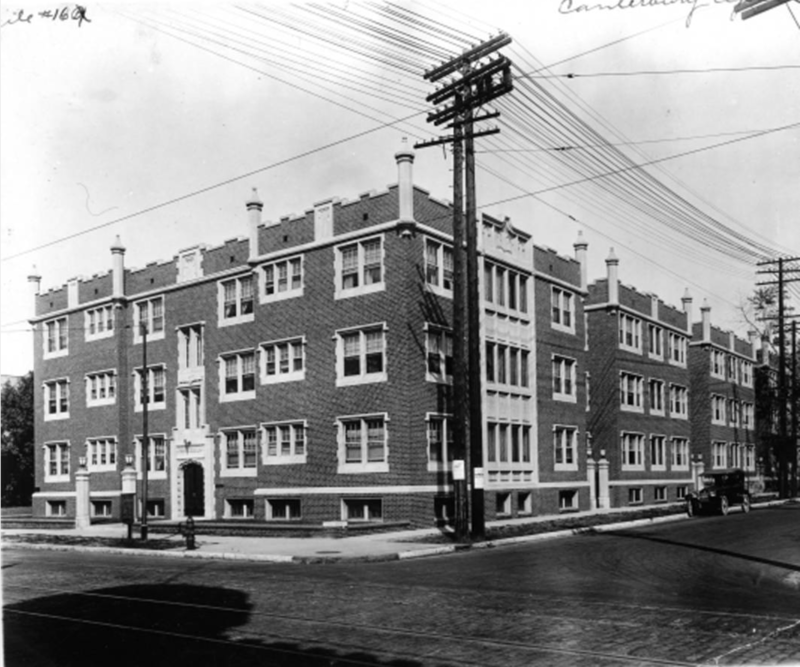 Wider view of housing at 1603 Central in 1916 – just prior to the construction of the Canterbury Apartments. Indianapolis Baist Atlas Map, IUPUI Digital Collections. Four years later, Haugh traded his house for a new complex of buildings on the same lot: the Canterbury Apartments. 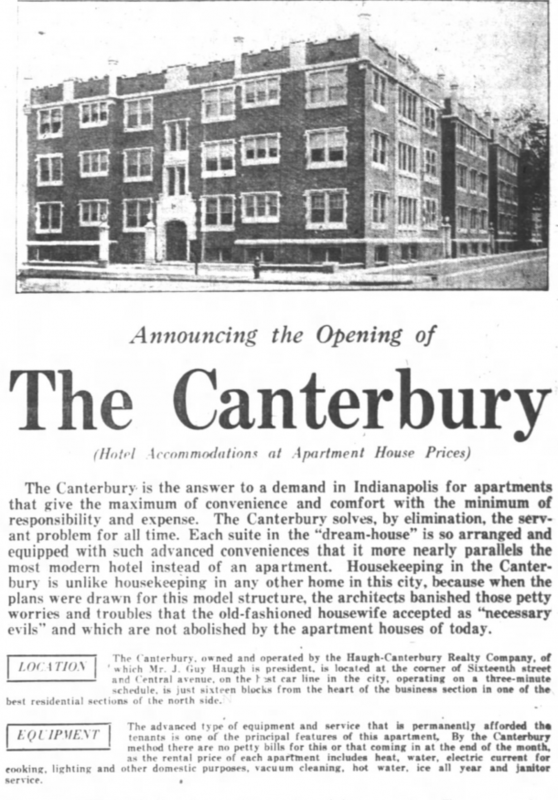 The Canterbury held its ground for eight decades, a lifespan that began as “a new era in advanced apartment house ideas” and ended in a suspicious three-alarm blaze. 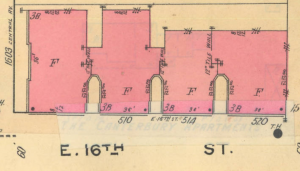 Footprint of the Canterbury Apartments in 1948. Indianapolis Sanborn Fire Map, IUPUI Digital Collections. 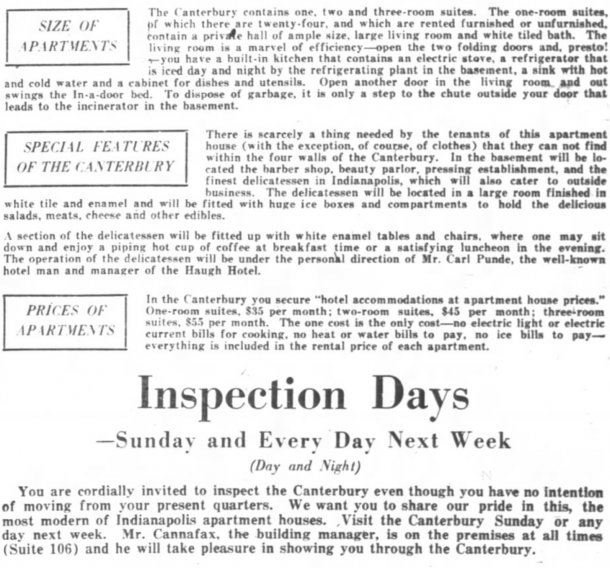 See the full list of amenities in the July 1918 ad announcing the opening of The Canterbury, above. 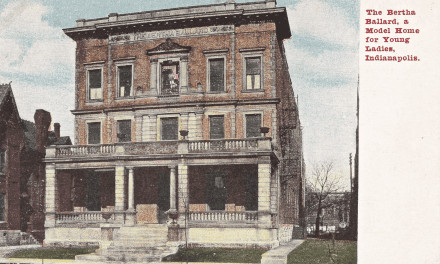 After its early days of splendor and so many years of service to the near-north side of Indianapolis, the Canterbury began to decline in the 1950s. In the 1970s, the apartments became low income housing managed by the Federal Department of Housing and Urban Development. In 1988, Broadstreet Development, Inc. spent a million dollars renovating the building, which, ultimately, only marked the beginning of the end. 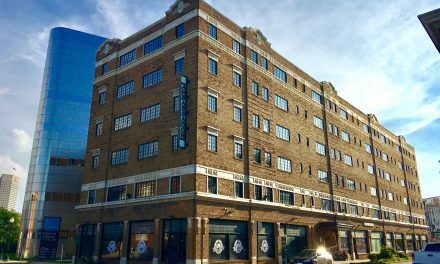 A year later, the company filed Chapter 7 liquidation bankruptcy and began negotiations to sell four near Northside apartment buildings serving the poor, including the Canterbury. In June of 1989, an electric fire gutted a third floor apartment. Later that summer, 27 tenants were threatened with eviction after a dispute with building management over an inoperative central fire alarm system. A Sunday morning in January, 1996 saw another fire in the structure – this one allegedly started by a child playing with a cigarette lighter. Members of All Saints Episcopal Church, 1559 Central Avenue, left services to help 113 tenants forced out of their apartments. Neighbors came to the relief of the tenants of The Canterbury, just as they had before. But in the days following the fire, the owner of the building surveyed the damage and said a bulldozer would be there within the next ten days to demolish what was left of it. The fire-ravaged property on the corner quickly became the empty lot that remains to this day. There is renewed optimism for 1603 Central Avenue in 2017. That stretch of East Sixteenth Street is seeing revitalization as a residential and commercial corridor. 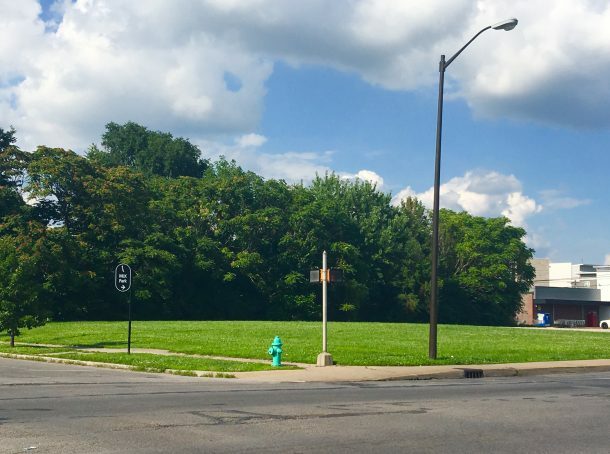 The empty buildings and vacant lots along the former “Tinker Street” and its surrounding neighborhoods are sprouting new restaurants, retail space, art studios, more houses of worship … and new multi-family dwellings. 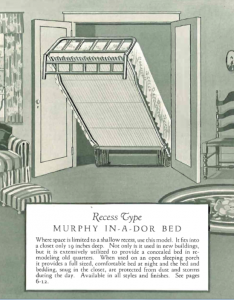 In the late 1960’s as a student in Indianapolis, I shared an apartment at the Seville (18th and Illinois) that had apartments equipped with an in-a-door bed similar to those detailed above. During the day it disappeared into a closet-dressing room that you passed through into the bathroom. It was a great answer to what was essentially a studio apartment. Much more comfortable sleeping than a sofa bed.